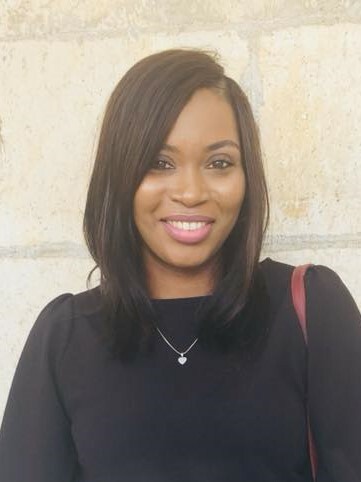 Culture Minister Norland Cox has disclosed that the Spicemas Corporation (SMC) has hired Akiera Paterson, the Marketing Communications Manager of Sunshine Promotions to be the Sponsorship Liaison Officer for the statutory body until the conclusion of Spicemas 2019 in August. Judah Sound System is one of the main service providers in the area of stage, light and sound to the corporation during the carnival period and is the service provider with whom the corporation has the largest amount of recurring outstanding debt. The primary agent of Judah Sound System as well as Sunshine Promotions is Ian “Judah” St Bernard. “We have engaged her services. She is competent in that area, she just recently completed her studies at Mona Campus in Jamaica, and so she is assisting us to engage our prospective sponsors in a more professional way and to offer packages from Spicemas. She is helping us develop that framework and when that is done Spicemas now can take that and go forward with it,” Cox said in an interview after the weekly Tuesday post-cabinet briefing. He further disclosed that the engagement is for a short period. “It is just for between now and the carnival period to help us to tidy up that because we had received some complaints from sponsors as to how they were engaged from Spicemas… having that liaison officer was their recommendation; that they prefer to have somebody to deal with direct who can look after and protect their sponsorship,” he said. During the post-cabinet briefing, Cox said that hiring the sponsorship liaison officer is a part of a strategic approach aimed at capturing more sponsorship for the annual event which is scheduled to be launched at the National Stadium on 4 May 2019 and concludes mid-August. “Private sector contribution is an ongoing process. We have taken a more strategic approach in dealing with the private sector and we are having some good feedback. We are hoping to have a number of persons confirm their support on or before the launch, so that information will come out on or before the launch,” he said in reply to a question seeking the total budget for Spicemas 2019, and about what is expected from the private sector and government. He explained that the carnival as a product is most important to corporations and the Culture Ministry. “And so basically we believe that we going to get more support in terms of sponsorship. We see that because of the approach we are taking, we are taking a more personal approach, in ensuring that we secured sponsors,” he said as he announced the hiring of Paterson. “We have engaged a Sponsorship Liaison officer, somebody dealing with sponsors separately so our CEO can focus on other important things like the planning and executing of other critical things. We have somebody dealing with the sponsorship solely. That person is meeting with sponsors, holding their hands, ensuring that everything that they request is achieved from our end. That is the approach we have taken this year,” he said. The Spicemas Corporation is a statutory body of government which falls under the supervision of the Minister for Culture and the Arts. Its main decisionmaker is a Board of Directors comprising stakeholders and line ministries. It is chaired by Genevieve Gibbs, while the day to day management of the office is headed by the Chief Executive Officer who is presently Kelvin Jacob. As a statutory or public body, it must comply with all national laws including those that put provide guidance for anti-corruption and conflict of interest. Recently Grenada was described as having best practice in the area of anti-corruption. The Prevention of Corruption Act along with other legislation provides directions as to when or how, one can engage his or her service with a public body to avoid apparent or real conflict of interest. That act described a public body as one which is a corporation established by an Act of Parliament for the purpose of providing a public function, while a public function is described as any activity, performed a single time or continually, whether or not payment is received for it, and which is carried out by a person for or on behalf of or under the direction of a ministry, department of government, a statutory body, local government authority or a government company. The Public Service rules also provide for any person who is providing a service to a public body to not engage in any private affairs that might be brought into real or apparent conflict with his public duties or in any way influence that in the discharge of his/her duties. This article has been edited to state that Judah Sound System and not Sunshine Promotions is a main service provider of Spicemas Corporation.